During WWII, Irena Sendlerowa, a Catholic Polish social worker, saved 2,500 Jewish children from death. That’s more than Oscar Schindler managed with 1,200. Though recognized by Yad Vashem in 1965 as being one of the Righteous Among the Nations (a non-Jew who saved Jews during the Holocaust), the rest of the world knew virtually nothing about her. At least, until 1999 when students at a rural Kansas high school were looking for material for their school play. Thanks to them, Sendlerowa was nominated for a Nobel Peace Prize but lost it to Al Gore. Sendlerowa was born on 15 February 1910 in the town of Otwock. Her father was a doctor whose motto was, “jump into the water to save someone drowning, whether you can swim.” He did just that, which was why he was the only doctor in Otwock who’d treat Jews. In 1935, Poland mandated ghetto benches in schools, requiring Jews to sit in assigned seats away from non-Jews. Many protested this by refusing to sit down in class. Sendlerowa took up Polish Literature at the Warsaw University and joined these protests, for which she was suspended for three years. Despite this, she earned her degree, joined the Polish Socialist Party, and found a job with the Warsaw Social Welfare Department. When Germany invaded Poland in 1939, Sendlerowa was among those responsible for the state-run canteens. These provided the city’s poor, elderly, and orphaned with food, clothing, and financial aid. In the early weeks of the German occupation, Jews who went to these canteens got something extra: false documents to help them pass off as Catholic. This ended in 1941 when helping a Jew became a crime punishable by death, a sentence that was extended to the entire family. Of all the countries under German occupation, Poland was the only one in which such a stiff penalty was imposed. For Sendlerowa, it made no difference because of what she saw the previous year. Dr. Janusz Korczak was a Jewish paediatrician, children’s author, and educator who was so widely respected, even the Nazis wanted to spare him. He also ran the Nasz Dom, an orphanage in Warsaw for Jewish children. His reputation protected them for a while, but that ended in early August 1942 when they were ordered to the Treblinka extermination camp. A number of the German soldiers recognized their childhood hero when they came to collect the 192 or 196 children under his care. Since some prominent Jews with international reputations were spared death, Korczak could have saved himself. But he refused, insisting that he accompany his charges to Treblinka. 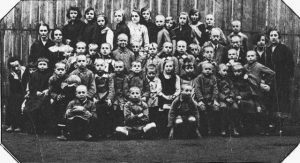 Sendlerowa saw them all that day – the children dressed in their best, some with small, handmade dolls in their hands. She also saw Korczak’s face and understood she’d never see any of them ever again. That’s when she decided to take up his legacy by joining Zegota; a Polish resistance movement also called the Council to Aid Jews. 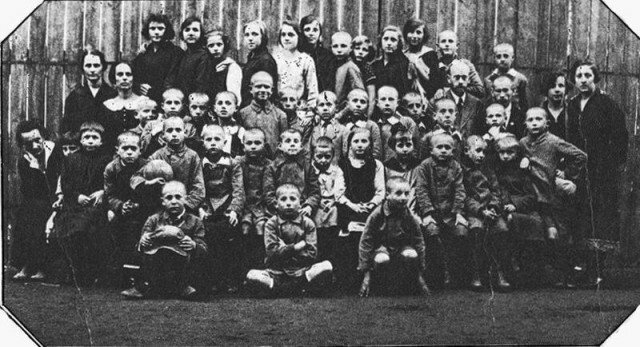 Sendlerowa was assigned to its children’s section and sent to the Warsaw Ghetto. The ghetto had been set up in late 1940 – a few, walled-off blocks spanning 1.3 square miles into which were packed over 400,000 Jews. Of these, some 254,000 were sent to Treblinka. As for the rest, they were denied food and medical care so they could die slowly. Still, the Germans were terrified of disease, especially typhus. To minimize its outbreak, they allowed social workers in to monitor the situation. Sendlerowa’s job was to oversee hygiene, but she couldn’t resist wearing a Star of David armband to annoy the guards and to show her solidarity with the Jews. She also brought a dog along with her, one specially trained to bark on command. Once inside, she and other colleagues did what they could to convince parents to hand their babies and toddlers over to them. Then they snuck them out in suitcases, medical bags, ambulances, and carts. These would often be sedated, but Sendlerowa took no chances. When children woke up and started crying, the dog would start barking loudly so the guards wouldn’t hear the cries. To explain the older children, guards were told they were dead and were being taken out for disposal. She did this every day, recording the names and details of each child, hoping to one day reunite them with their parents. These names were put into a jar and buried beneath an apple tree right beside the German barracks. Each child was given a false identity and sent to Catholic homes, convents, and churches. Older children were taught Christian prayers and how to behave in a Catholic mass. It couldn’t last, of course. On 20 October 1943, someone reported her to the Gestapo. Sendlerowa was arrested and interrogated but refused to name her co-workers or give details on the Zegota. So they tortured her. When that failed, the broke her legs and feet. Still, she wouldn’t reveal a thing, so they ordered her executed, but the Zegota bribed her guards, and she escaped and she went into hiding for a while. 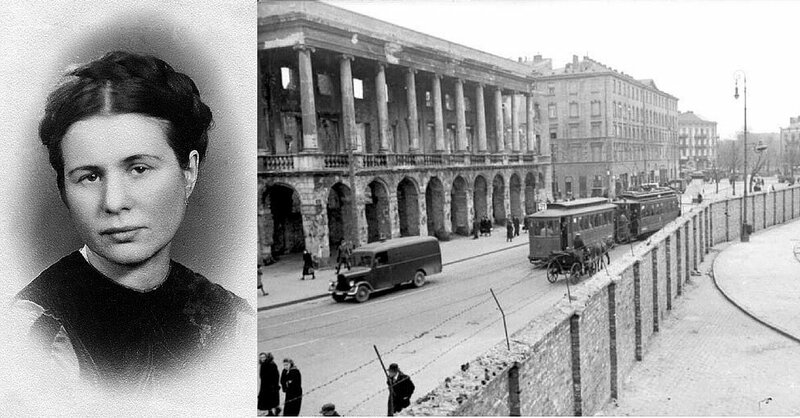 Recovering quickly, she returned to Warsaw under a false identity and worked as a nurse in a public hospital where she managed to hide five more Jews. After the war, Poland became communist, so Sendlerowa was arrested in 1948 for her involvement with the Home Army (which resisted communist rule). This arrest caused her to give birth to her son, Andrzej, prematurely. They eventually released her on condition that she would join the communist party, but they never stopped being suspicious of her. When Israel recognized what she had done in 1965, Poland refused to let her leave to receive the award. They only let her do so in 1983. Her son Andrzej died on 23 September 1999, the very day that students at Uniontown High School in Kansas found a small news clipping about her. A photo by Mariusz Kubik on 15 February 2005, showing Irena reuinted with some of the children she saved. Sadly, most could not be reuinted with their biological parents as most had died. Photo taken on 15 February 2005, showing Irena reunited with some of the children she saved. Sadly, most could not be reunited with their biological parents as most had died. There wasn’t much info, but the students were fascinated. They chased down other leads and made a play based on her story called “Life in a Jar.” Then in February 2000, they found out she was still alive, so they got in touch and sent her a translated copy of their manuscript. On 10 November 2003, the Polish government finally gave her the Order of the White Eagle, that country’s highest civilian award. In 2007, Pope John Paul II, the Polish and Israeli governments, and the Uniontown High School nominated her for the Nobel Peace Prize, but it was given to Al Gore for his work on Climate Change, instead. This entry was posted in Love and Self Sacrifice and tagged Holocaust, Kindness, love, suffering. Bookmark the permalink.